The lighting of saites, long cardboard tubes filled with gunpowder, at Kalamata Municipal Stadium on Easter Sunday. 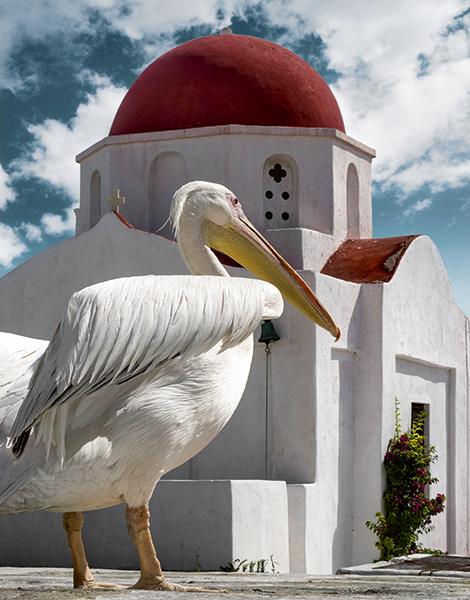 Easter, the most important religious and social festival in Greece, has much to offer locals and visitors alike. There is always a good reason to visit Mykonos, and Easter is one of the best, especially if it falls in late spring near the May Day holiday. At this time of the year, visitors can expect to enjoy the island in its most verdant, flowery and nature-scented state, just before the dry spell of summer. Quite often, the weather for Good Friday’s church services, which include street processions of the epitaphios or bier of the dead Christ – happens to be cloudy with sporadic rainfall. Make sure to book your accommodation well in advance after having decided whether you would prefer to stay in crowded Hora, the main town, or – if you have wheels – at one of the main beaches (Ornos, Paraga, Platis Gialos), where the hotels have already begun operating for the new season and the all-day beach bars open around 10 am. The epitaphios on Mykonos is interesting as, rather than following its trails, it could end up following you. Four processions are staged concurrently around various parts of the main town’s narrow alleys and end up converging at the port before going their separate ways again. Honor the fasting period with seafood at Roka, located at the port next to the archaeological museum. For the Resurrection service, which takes place late on Holy Saturday, head up to the historic 15th-century Panaghia tin Tourliani church in Ano Mera. Once the service is completed, take a seat at the restaurant chairs set up around the square and wait patiently to be served magiritsa (a tripe soup make from lamb entrails and egg-lemon sauce, served after midnight as the first meat dish ending the Lenten fast). Alternatively, visitors may opt for something even more remote and head to the monastery in Paliokastro, north of Ano Mera. If you happen to be in the main town for the Resurrection service, be prepared for a long night. The local night clubs give it their all on Holy Saturday night, which officially marks the launch of the island’s world-renowned tourism season. Begin the night – and end it, too, if you like – with glasses of champagne and dancing at Astra, a legendary bar that opened in 1987. Generally, the entire town becomes one endless party for all ages, budgets and preferences. On Easter Sunday, around dusk, energy level permitting, take part in the burning of Judas ritual at the town’s square, along with the locals. In general, book every single move in advance, even your beach loungers, and make follow-up confirmation calls. The island is filled to the brim this time of year. Ferry tickets Piraeus and Rafina to Mykonos (3–6½ hours) start from 22 euros. Browsing the internet for flights from April 28 to May 2, we found Athens–Mykonos return tickets for 127 euros. 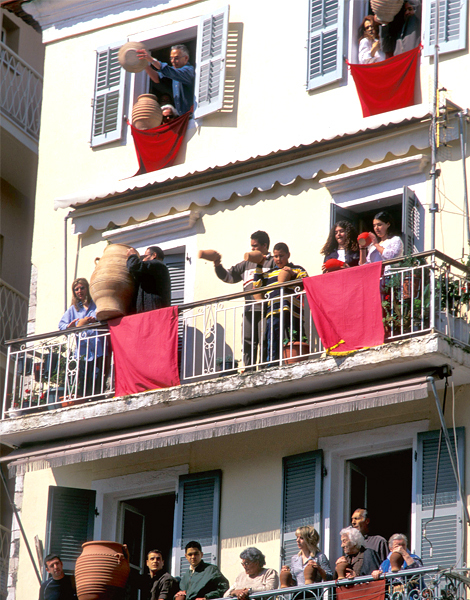 At around noon on Holy Saturday, locals in Corfu hurl clay pots from their balconies onto the street below. A day earlier, on Good Friday, each church sends its epitaphios onto the streets at different times. 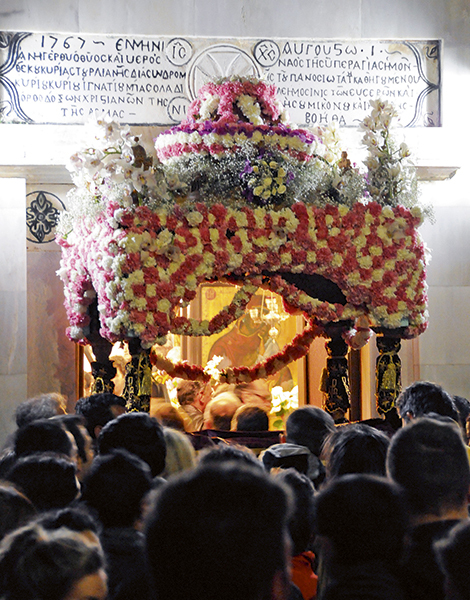 The last, and most imposing, is left for Saturday morning and is staged by the Aghios Spyridonas church. The local brass bands continue to play a leading role on Holy Saturday night during the Resurrection services. 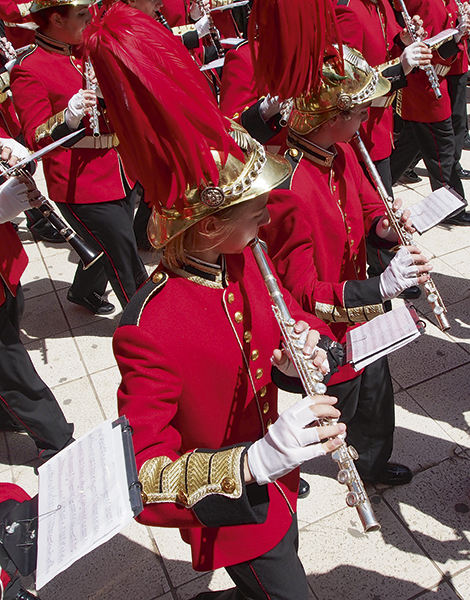 Packed with jovial crowds, the main town’s upper square reverberates to the sound of drums, fireworks and cheerful marching songs. The following morning, Easter Sunday, the parish churches continue with processions, carrying an icon depicting the Resurrection, accompanied by the brass bands, while dance groups liven up the festive atmosphere even further. Easter is a far quieter affair in the countryside and villages. But expect to see the occasional clay pot smashed even in the smallest and most remote villages immediately after the first Resurrection service, held early on Holy Saturday. On Easter Monday, processions and prayers are held in virtually all of the island’s villages. In a centuries-old tradition, Patmos reenacts the Last Supper and Christ’s washing of his disciples’ feet. On Folegandros the Virgin Mary blesses every home of Hora and Ano Meria villages, while, on Hydra, the epitaphios is carried into the sea to bless the waters around the island. Around Easter, one-way air fares from Athens or Thessaloniki to Corfu average 80 euros. The island can also be reached by ferry from the port of Igoumenitsa, but it will cost you about 70 euros in fuel and tolls to cover the 451km (about a seven-hour trip) from Athens. The ferry from Igoumenitsa to Corfu costs 10 euros per person, 40 euros per car and 15 euros per motorbike). For further details: www.corfuport.gr/en.html. In a centuries-old tradition, Patmos reenacts the Last Supper and Christ’s washing of his disciples’ feet. On Holy (or Spy) Wednesday priests anoint the devout with holy oil. A priest during the ritual at the St John the Theologian (Aghiou Ioanni Theologou) monastery in Patmos. Reenactments of the Last Supper and Washing of the Disciples’ Feet have been held on Holy (Maundy) Thursday for over 400 years in Hora, the main town of Patmos, the northern Dodecanese island where the Apocalypse was written. During the ritual, a priest at the St John the Theologian (Aghiou Ioanni Theologou) monastery, representing Jesus Christ, sprinkles the right legs of his twelve disciples, represented by monks, amid a very religious atmosphere, either in solemn silence or to the sound of chants. A procession follows. It symbolizes the path of Jesus to the Garden of Gethsemane. The epitaphios biers, sprinkled with rosewater by housewives, are also interesting, as are the entire Holy Week ceremonies. On Holy (or Spy) Wednesday, for example, priests anoint the devout with holy oil. The Second Resurrection church service, held on Easter Sunday evening, is a unique experience, as the Gospel reading of the Resurrection in seven languages. Besides the more solemn procedures, more cheerful events are also held on the island. On Easter Sunday, tables are set with Easter dishes. Traditional dancing is also commonplace. Celebrations on Patmos conclude on Easter Tuesday, known locally as New Tuesday, with a procession of icons from the island’s renowned monastery to Aghia Levia Square in Hora and around the parishes, to bless the homes. Return ferry tickets from Piraeus to Patmos cost 79 euros per person and the journey lasts 7–8 hours. In Hydra, the arrival of the epitaphios from Ai Gianni parish in Kamini to the little port, which is then taken out to sea for the blessing of the waters, sponge divers and sailors, ranks as the ritual’s most special moment. There is no greater joy than to be on Hydra in late spring, when the wild flowers have blossomed. The Saronic island’s seven monasteries, representing its lesser-known religious side, are very good reason to go walking through the alleys and over the slopes. The monasteries of Zourva and Profitis Ilias attract the biggest crowds, especially on Holy (Maundy) Thursday for the Crucifixion service and on Good Friday. 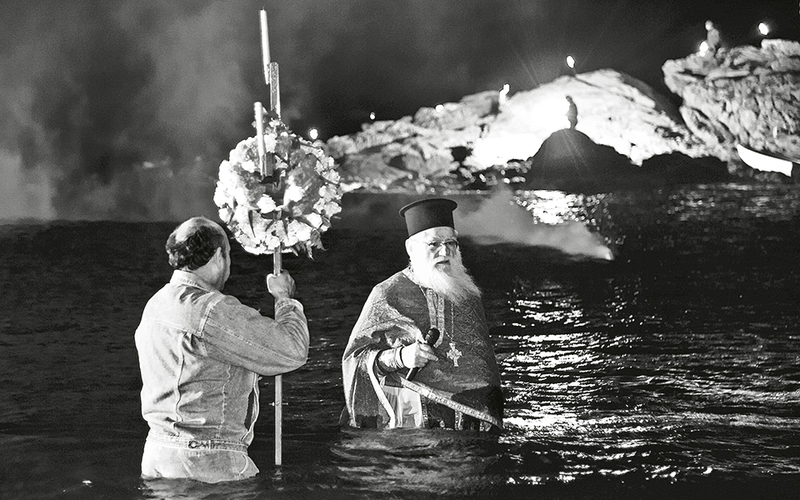 The arrival of the epitaphios from Ai Gianni parish in Kamini to the little port, which is then taken out to sea for the blessing of the waters, sponge divers and sailors, ranks as the ritual’s most special moment. Subsequently, all the epitaphios biers converge at the island’s charming port. The sky fills with fireworks as soon as the words Christos Anesti (Christ is risen) are proclaimed. The boats moored at the port, all lit up for the occasion, contribute to the pandemonium of sound and color. Their horns blare and flares are lit on deck. 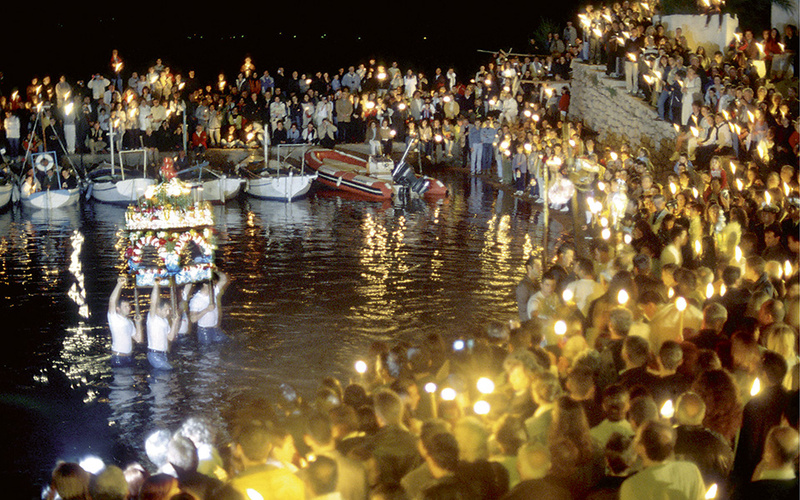 The late-night Holy Saturday Resurrection celebrations are reminiscent of the Miaoulia festival, held annually late in June to honor the admiral and politician Andreas Miaoulis, a Greek War of Independence hero. Everything on Hydra, from history and religion to architecture, blends beautifully. Return ferry tickets for the 1½–2-hour journey from Piraeus to Hydra start from 49.50 euros per person. Alternatively, visitors may travel by bus to Metochi on the mainland (184km/2½ hours, 19 euros) and catch a boat or sea taxi to the island, a 12-minute crossing. 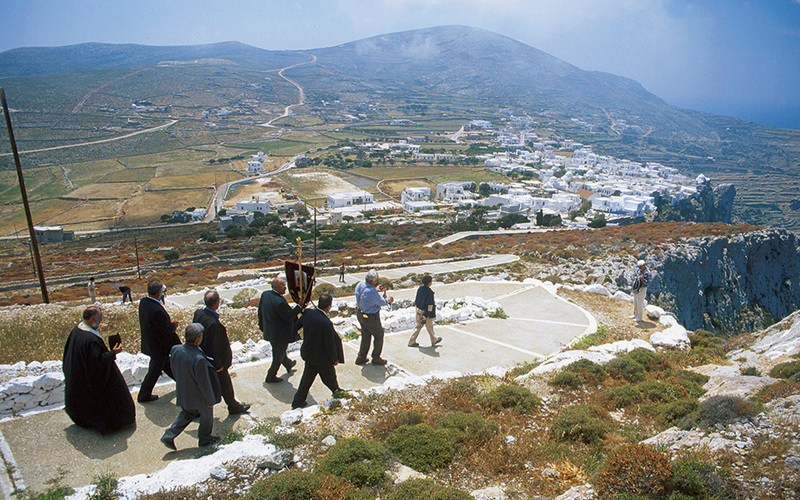 Folegandros: A large silver icon of the Blessed Virgin (usually adorned with reddish flowers) is carried downhill to the port of Karavostasi for a blessing ceremony of the boats. “My Virgin Mary of Folegandos, great is Thy mercy…” say the lyrics of the song dedicated to the patron of the Cycladic island of Folegandros, who is especially worshipped throughout the days of Easter. A large silver icon of the Blessed Virgin (usually adorned with reddish flowers) is carried downhill to the port of Karavostasi for a blessing ceremony of the boats. Young people supporting the statue reverently carry it onto a caique fishing boat that takes it out to sea, accompanied by the faithful, before it returns to shore – or as the women of Folegandros say, to her “home”. In this case, her home is the white-washed church of Panagia of Folegandros, dedicated to the Assumption of Virgin Mary, situated on the cliff above Chora. Prior to this ceremony, on Easter Sunday and Easter Monday, the Virgin Mary will have blessed every home and farmhouse of Castro, the oldest quarter of the island, and the picturesque village of Ano Meria. The participation of parishioners during these events is more than enthusiastic. They prepare galatopites (milk pies), melopites (honey pies) and tsourekia (brioche-like festive breads) that they offer to friends and strangers alike so that guests feel even more comfortable than they would in their own homes. Air balloons light up the sky in the eastern Peloponnese seaside town of Leonidio; Santorini, always magical, is festooned at Easter by countless lanterns at Pyrgos, a village located at one of the island’s highest points; while the epitaphios procession in the fortified city Monemvasia offers a highly spiritual experience. By Ferry: Piraeus-Folegandros return (3 hours and 45 minutes – 10 hours, depending on the ship) from 78 euros. In Leonidio, as soon as Christos Anesti (Christ is risen) is announced, around 500 air balloons are released into the sky. In the eastern Peloponnese town of Leonidio, as soon as Christos Anesti (Christ is risen) is announced, around 500 air balloons are released into the sky of the Tsakonian region from the town’s four parish churches, in keeping with a custom that has held strong since the late 19th century. The merry sound of chiming bells accompanies the multicolored air balloons as they ascend and drift apart high in the sky. Preparations for this custom begin in January and, quite often, children are taught how to make the balloons at school. All four Good Friday epitaphios processions held at the seaside town are worthwhile. 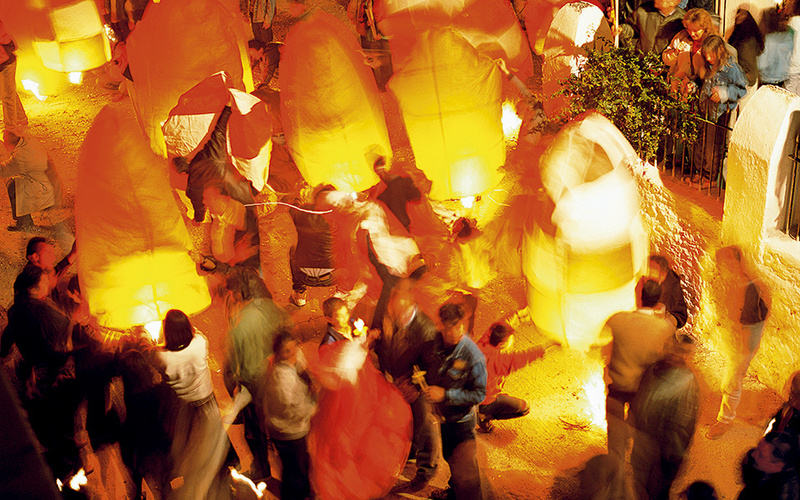 Locals decorate the town’s darker streets with 2,000 to 3,000 hollowed-out bitter oranges, creating a holy ambience by placing little candles inside. On Easter Sunday afternoon, the Feast of Love ritual is held at the main square. 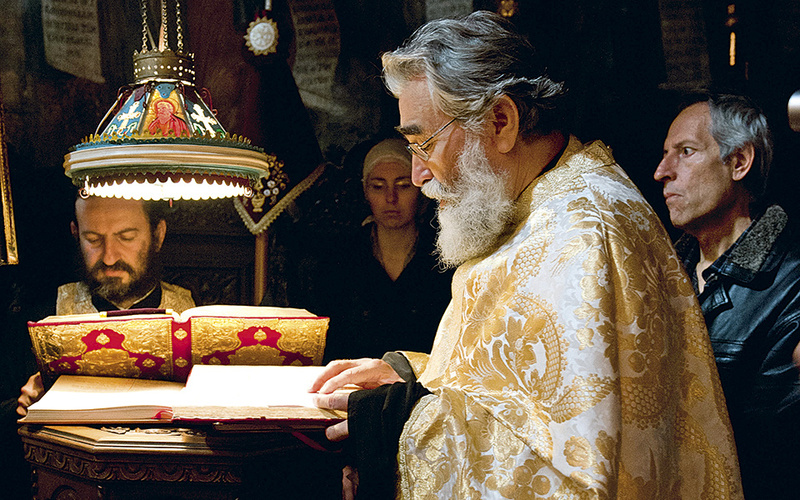 One of the four parish priests reads the Gospel in the critically endangered Tsakonian language, which is derived from the ancient Greek Doric dialect. This is immediately followed by Tsakonian dances by performers in traditional costumes, who emerge in an impressive procession. At this point, roughly 100 to 200 balloons are released, this time by visitors to the town. Leonidio is 207km from Athens, a four-hour drive. One-way bus tickets cost 27.50 euros. 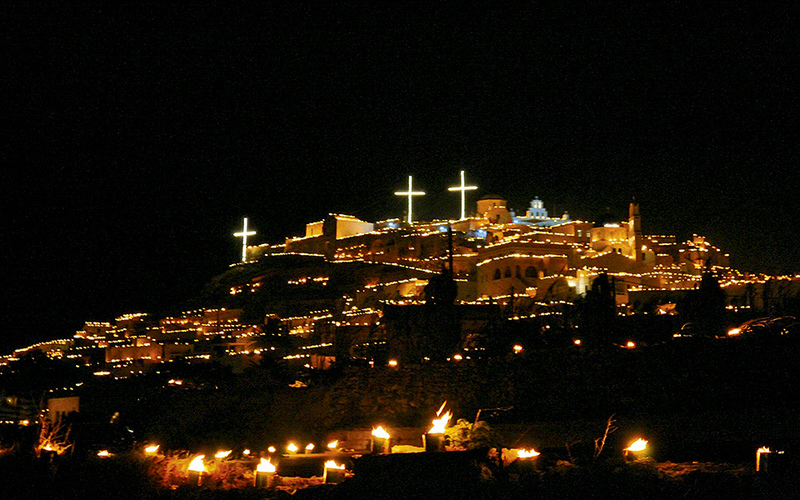 Easter in the fortified city of Monemvasia, in the eastern Peloponnese. The epitaphios procession generates an extraordinary atmosphere within the fortified city of Monemvasia, in the eastern Peloponnese. Paraded through the cobbled streets and arcades amid glowing candles, the funeral bier stops along the way at every chapel and prominent mansion, including Ardamis Guesthouse, which served as the governor’s residence during Venetian rule, an administration building under the Ottomans and also hosted two Byzantine emperors. The area’s wider setting is car-free and spared of bright lights. The chants delivered throughout the Holy Week echo all over, while the air of devotion is maintained during the late-night Holy Saturday Resurrection service as the excessive use of fire crackers is forbidden within the fortress’s walls. On Easter Sunday afternoon, the burning of Judas ritual is performed, momentarily breaking the spellbinding ambience. 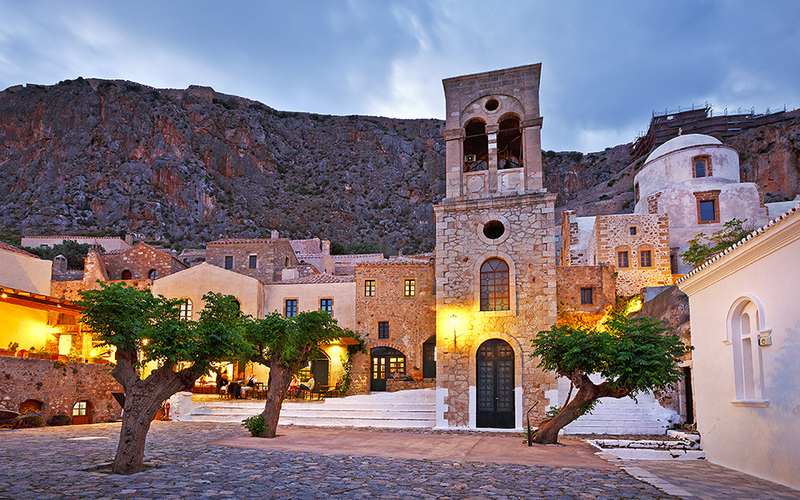 Monemvasia is located 300km from Athens, a five-hour car journey. Fuel and tolls come to about 43 euros for one way. Santorini: From a distance, the hilltop village looks like a brightly lit ship or castle on fire. On Good Friday, Pyrgos, a village perched on one of Santorini’s most elevated spots, is filled with lanterns virtually everywhere – the castle, rooftops, church domes and along paths and wall tops – to create a bright stream of light through which the epitaphios procession passes. Housewives sprinkle the epitaphios with rosewater or perfume as it passes by. From a distance, the hilltop village looks like a brightly lit ship or castle on fire. A similar tradition is also maintained at Akrotiri, in the southwest of the southern Aegean island. Locals recommend experiencing the Holy Saturday Resurrection service at the Profiti Ilia monastery, located at the island’s peak, staged between 21:00 and 22:00. Firecrackers and fireworks are forbidden here. On Easter Sunday, many island villages stage the burning of Judas custom. The Good Friday bell custom in Emporio, the island’s biggest village, is always worthwhile. Locals pass through the entire village with little bells, metal objects and anything else that can produce a racket. To the sound of the tsabouna (a traditional bagpipe instrument), they invite fellow villagers to the epitaphios procession. Mani and Meteora, which both embody the raw beauty of Greek nature – the former on the strength of its character and the latter its long monastic tradition – are ideal destinations for travelers seeking a unique Easter experience. Return ferry tickets to Santorini from Piraeus start at 72 euros per person and the journey can take from 4½–9 hours. Return flights from Athens start at 126 euros per person. 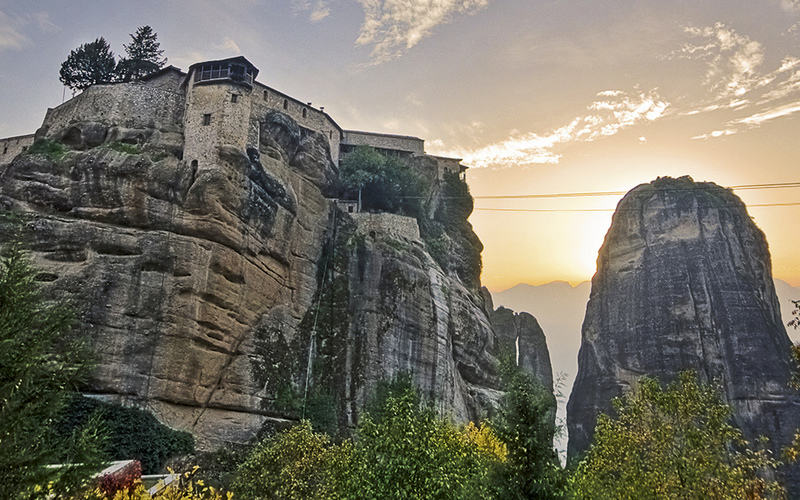 The six active monasteries perched on the monstrous rocks at Meteora are immersed in total devotion during Holy Week. The six active monasteries perched on the monstrous rocks at Meteora, a UNESCO World Heritage Site, are immersed in total devotion during Holy Week. Their simple epitaphios biers and humble Holy Saturday Resurrection services, at which firecrackers are absent, accentuate the sense of awe inspired by the location in Thessaly itself, regardless of the season or ceremony, all of which guarantees a sublime experience for visitors. The Holy Monastery of St. Stephen (Moni Aghiou Stefanou), inhabited by nuns, is the most accessible of all six. The atmosphere at the equally magnificent Varlaam and Megalou (Great) Meteoron monasteries is unique. Each inhabited by a single abbot, the monasteries of St. Nicholas Anapausas and the Holy Trinity (Aghia Triada) are the quietest of all. 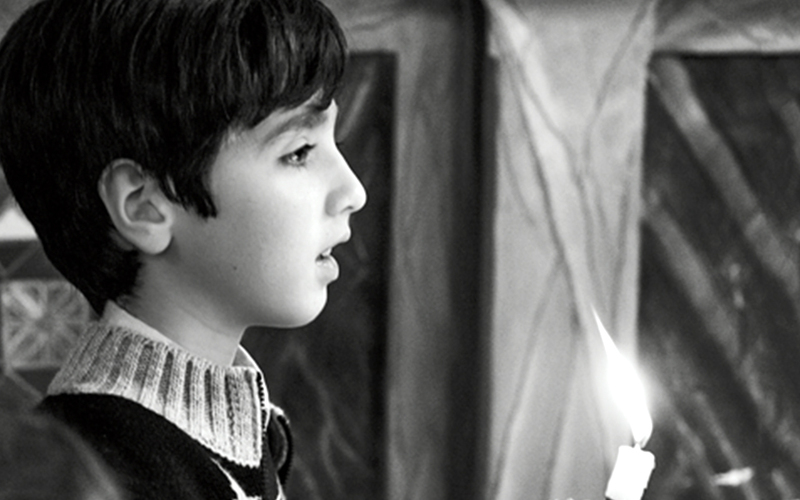 The Agios Georgios tou Mantila celebration, which will be held on Easter Tuesday this year, is not to be missed. Young men, from the neighboring village of Kastraki, climb the rocks all the way up to the monasteries carrying hundreds of colored kerchiefs, which are religious offerings from the locals, tied to their belts. These kerchiefs are hung on the rocks while the previous year’s offerings are removed and distributed as amulets. Besides rock climbing, trekking between the rocks is another wonderful experience offered by this location. A trail running from Kalabaka to Aghia Triada and another connecting Kastraki with Aghio Pnevma are both among the most accessible and beautiful. Kalabaka, the nearest town to Meteora, is 350km (5½ hours) from Athens. Fuel and tolls for a one-way journey come to about 45 euros. 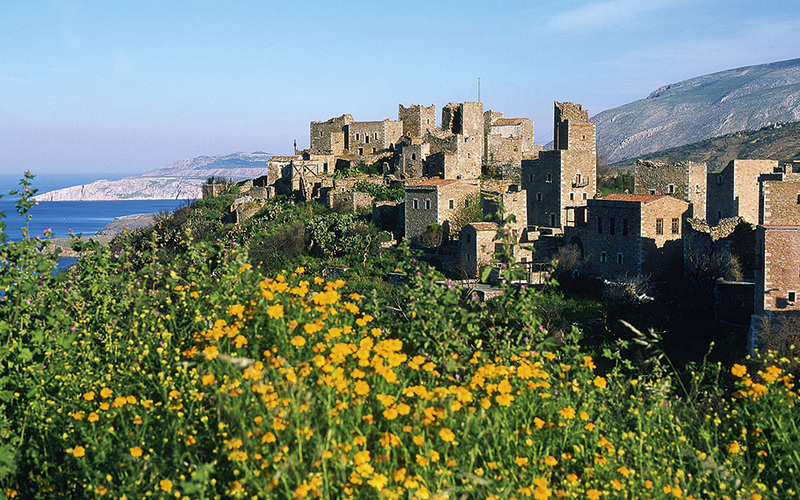 Spring in Mani: stone-built villages, imposing towers and fills with wild flowers. Spring is the best season to be in Laconian (Lakoniki) Mani. The wild, southern Peloponnesian setting, featuring stone-built villages and imposing towers, fills with wild flowers, while trekking along trails scented with thyme and sage is a wondrous experience. Do not miss out on taking the unchallenging, 40-minute trail to the Akrotenaro lighthouse, situated at Cape Matapan (also Tenaro) which, according to the ancient Greeks, was a passage to the underworld. A trail leading to the lovely Agitria chapel also offers easy trekking. Also visit Diros caves, one of the world’s most significant, the Byzantine churches, whose architectural designs are remarkable, and, naturally, the adorable villages along the entire route from Areopoli to Cape Matapan. Definitely make pit stops at Gerolimenas, all-stone Kita and sensational Vathia. Devout epitaphios processions are held on Good Friday in all of the area’s inhabited villages. In the past, a unique custom linked to an infamous Mani blood feud, or vendetta, was staged on Easter Sunday, when sworn enemies exchanged kisses in an act of forgiveness or reconciliation. Although the custom has faded, the chance of witnessing it at one of the villages cannot be ruled out. A Mani custom that has been strongly preserved entails visiting cemeteries on Easter Monday. Locals honor the dead by offering homemade Easter brioche-type bread and dyed-red eggs. Areopoli is 273km (4½ hours) from Athens. A one-way trip comes to 40 euros in fuel and tolls. In the southern Peloponnese city Kalamata, the Saitopolemos is a truly spectacular custom. It involves about seven groups of between 15 and 30 persons, some wearing traditional costumes, lighting saites, long cardboard tubes filled with gunpowder, at Kalamata Municipal Stadium on Easter Sunday. 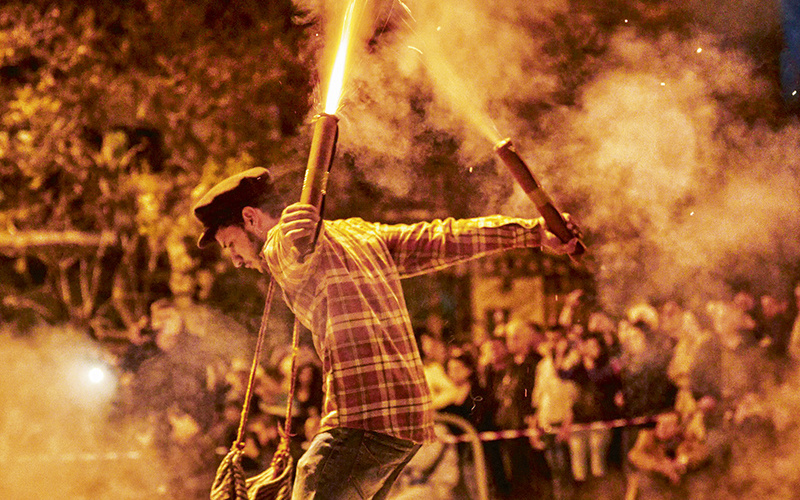 Christos Zeritis, of the Kalamata Folklore Research Centre, which seeks to preserve local traditions, describes the custom as a “zeibekiko (a traditional folk dance) of fire.” Participants in this unique custom light their gunpowder tubes and begin their war dance, spreading sparks and smoke all over. It is said that the custom dates back to the era of Ottoman rule, when Greek independence fighters created saites as makeshift weapons to resist Ottoman cavalry. Offering a different view, Zeritis believes the custom was established to honor the Greek independence fighters at the Wall of Verga, 7km east of Kalamata – built hastily in 1826 to repel Ottoman forces – and not to imitate fire-bearing freedom fighters, as it has been proven that Greek forces did not possess large amounts of gunpowder at the time. The blowing-up of Judas custom, staged in the Kalamata districts of Avramogiani and Rahi, is interesting. So, too, is the Xamonia custom of after-midnight processions, staged on Holy (Maundy) Thursday by residents of Rahi and other northern districts of Kalamata around their churches. Candles are lit and hymns are chanted until the morning hours. On the Cycladic islands of Syros and Tinos, Easter is celebrated concurrently by Catholic and Orthodox communities to avoid creating problems for mixed families. It is worth seeing some of the Catholic Easter events, which coincide with those of the Orthodox, unlike elsewhere in the world where western and eastern Easter can be held weeks apart. Kalamata is located approximately 240km (three hours) from Athens. Fuel and tolls will cost you 33 euros one way. Tinos: The epitaphios of Aghios Nikolaos Church is immersed into the sea. 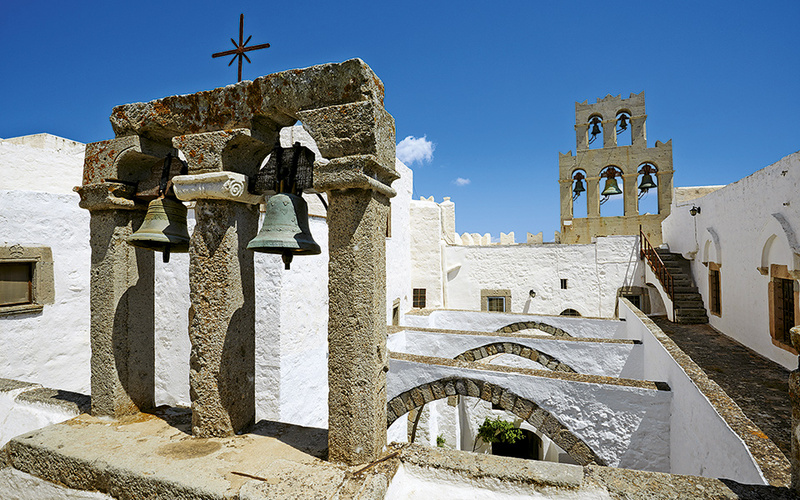 On Tinos, Catholic parishes exist in the main town of Hora, the village Xinara – home to the Panagias (Virgin Mary) tou Rodariou cathedral – and various other villages, such as Komi, Kalloni, Steni and Kampos. On Palm Sunday, a procession with palm tree and olive branches is held. On the night of Holy Wednesday, Catholic parishioners gather at the cathedral in Xinara, where the blessing of the holy oils takes place, in which young people preparing for confirmation at Pentecost participate. On Good Friday, at 10:30 am, the Descent from the Cross ceremony at Xinara is also worthwhile seeing. On Holy Saturday night, the lighting of fires in the churchyards creates a fascinating atmosphere. Return ferry tickets to Tinos from Piraeus and Rafina cost from 54 euros (1½–5 hours). 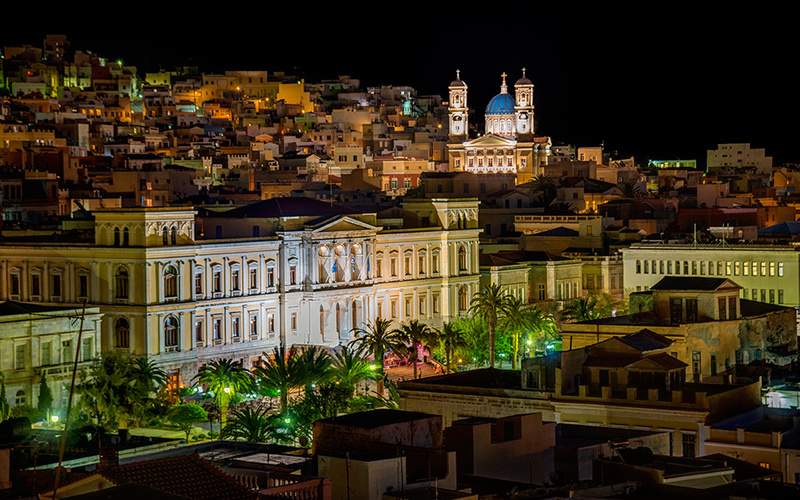 The Plateia Miaouli in Ermoupolis, the capital of Syros. The majestic church of Aghios Nicolaos, the city's patron Saint, is visible in the background. On the island of Syros, or, more specifically, in Ano (Upper) Syros on the second-last Sunday of Lent (Sarakosti), the Stations of the Cross ceremony is held, beginning from the area below the primary school, at the foot of the village. The procession is headed by the Catholic bishop of Syros and includes Catholic priests, monks, nuns and crowds of worshippers. The ceremony recalls the course of Christ towards the hill of Calvary and his Crucifixion. The faithful chant traditional hymns, while 14 stops are made, during which the bible is read and thoughts expressed about the importance of each event represented by the stop. Mass is held at the top of the Ano (Upper) Syros hill, in the Catholic cathedral of Aghios Georgios. It is also worth witnessing the epitaphios processions held by the Evangelistria church in Ermoupoli and the Aghios Sevastianos church, located on the border between Ano Syros and Ermoupoli. Return ferry tickets to Syros from Piraeus or Rafina cost from 55 euros (3½–4 hours). Flights are also available from Athens, with tickets recently priced from 162 euros per person for Easter.